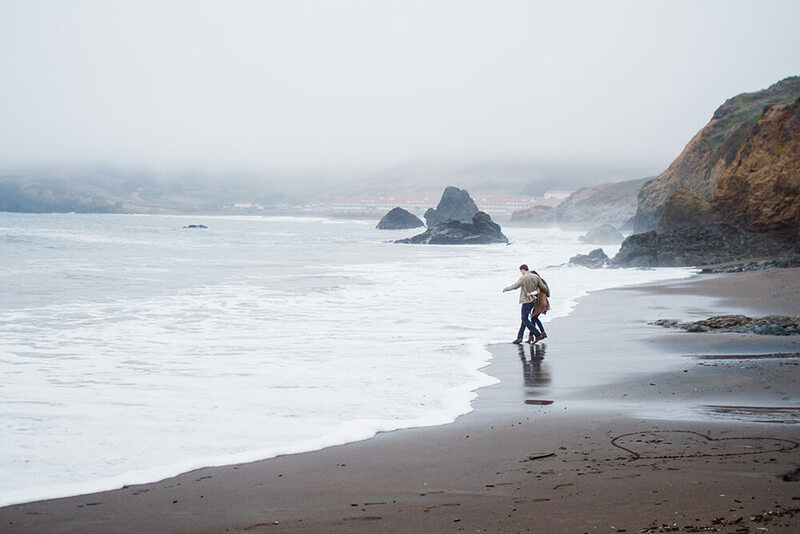 I seriously can’t believe this place is about a 20-minute drive from my house. 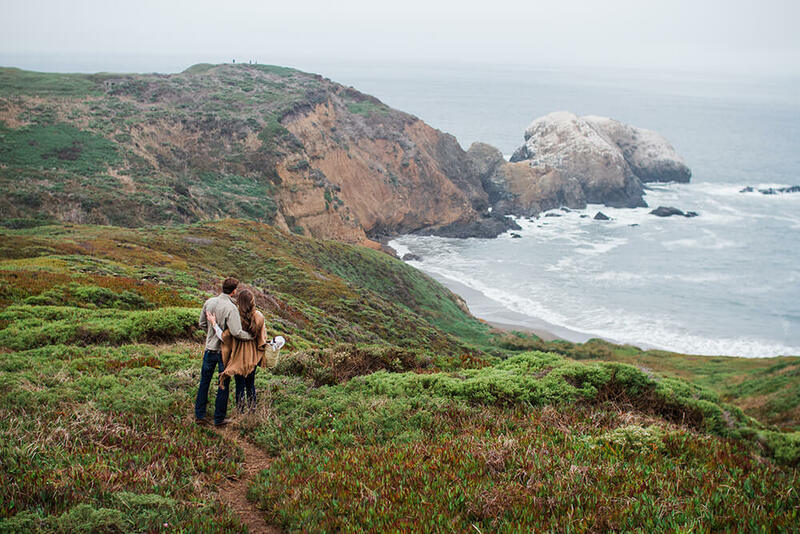 Having grown up in the land-locked, desert plains of Wyoming, places like the Marin Headlands never fail to take my breath away, even though I’ve spent most of the last 15 years or so on the West Coast. 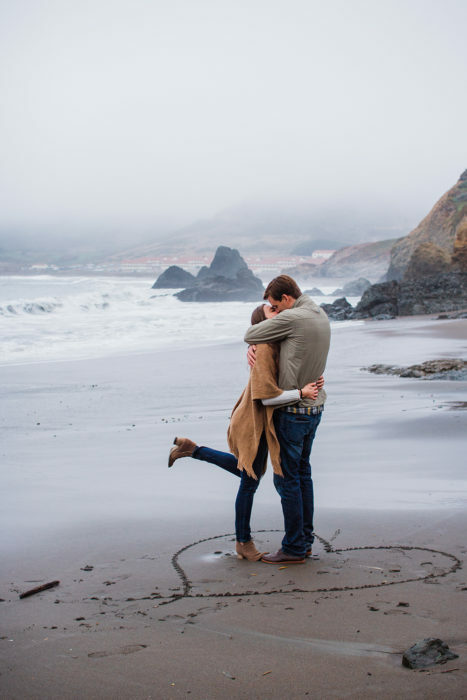 And I’m totally okay with that because I never, ever want to take any of it for granted. 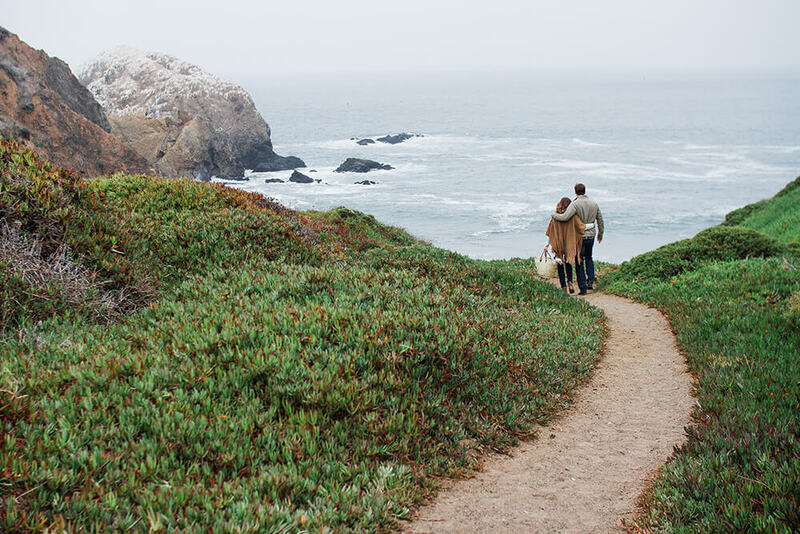 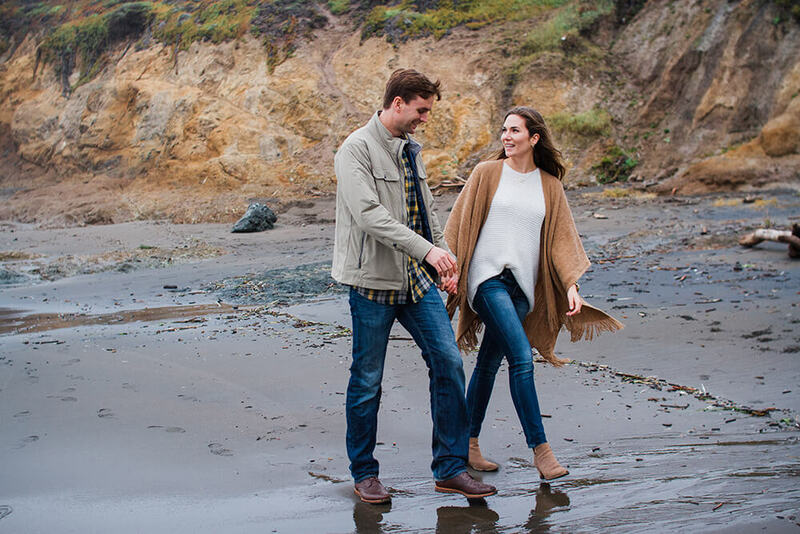 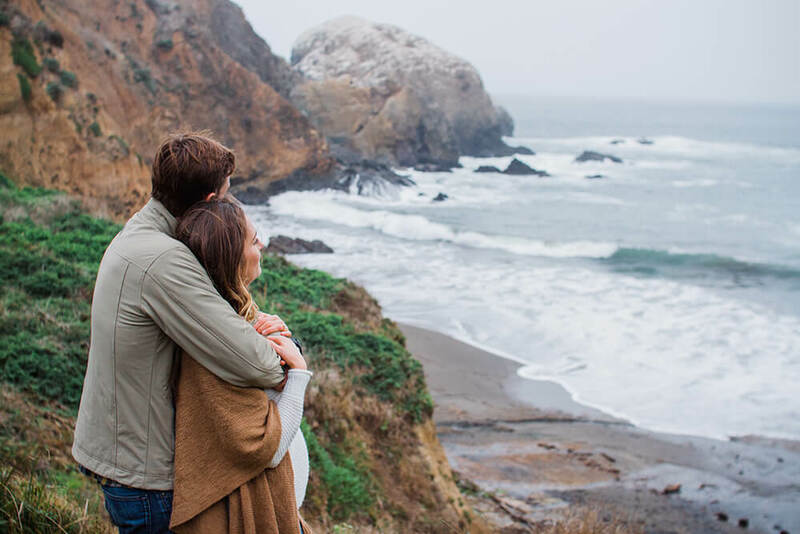 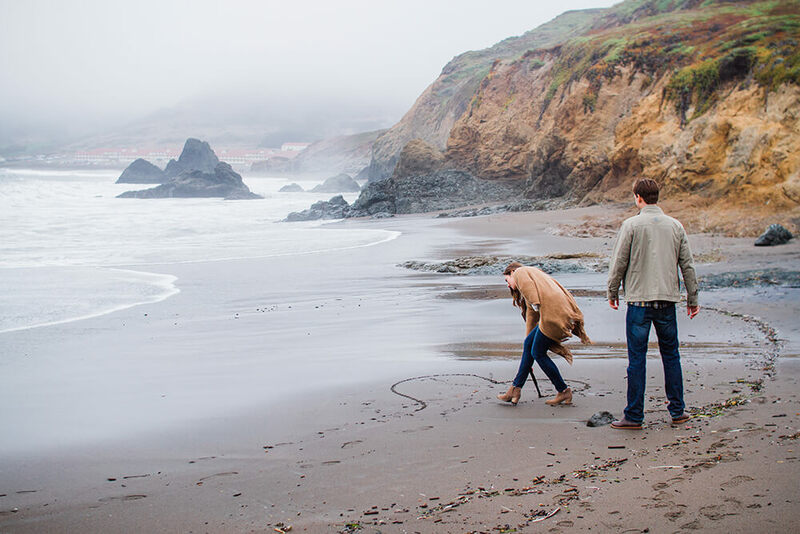 Located just across the Golden Gate Bridge from San Francisco, the Marin Headlands is a hot Bay Area tourist spot because of the gorgeous, expansive views. 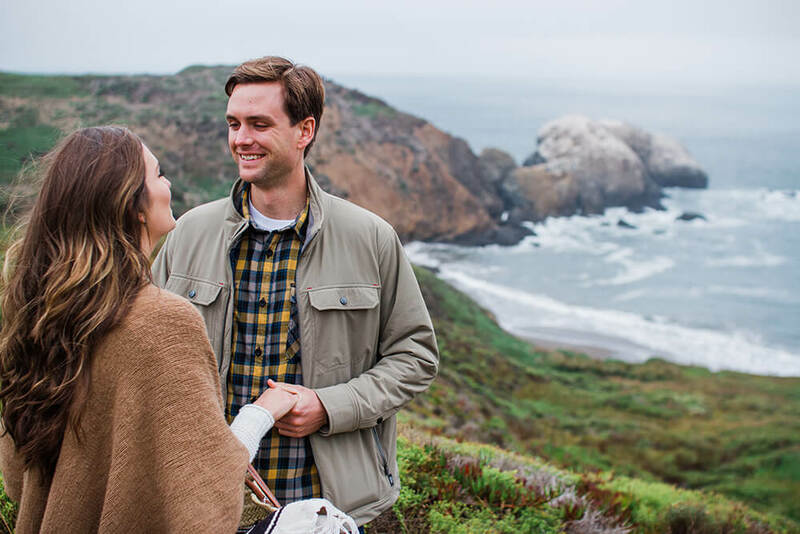 While this area can get a bit jammed with visitors at times, there are still certain spots in and around the Headlands where the locals can enjoy some relative peace, away from all the tourist chaos. 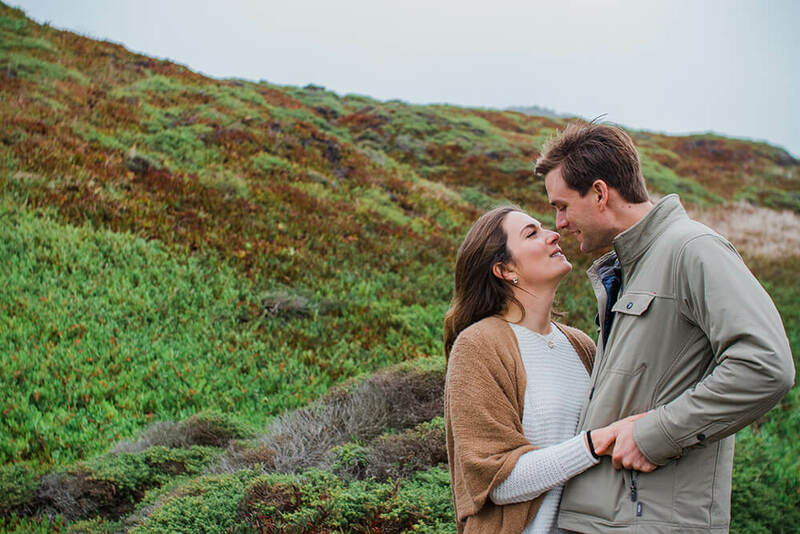 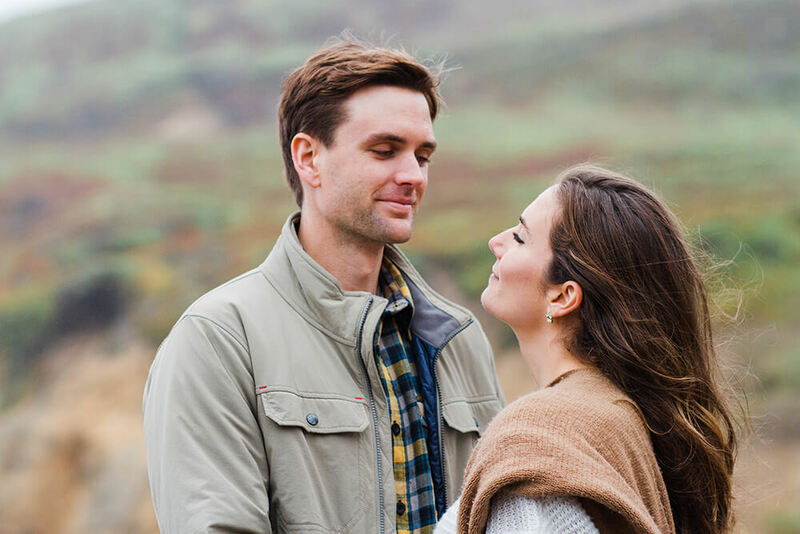 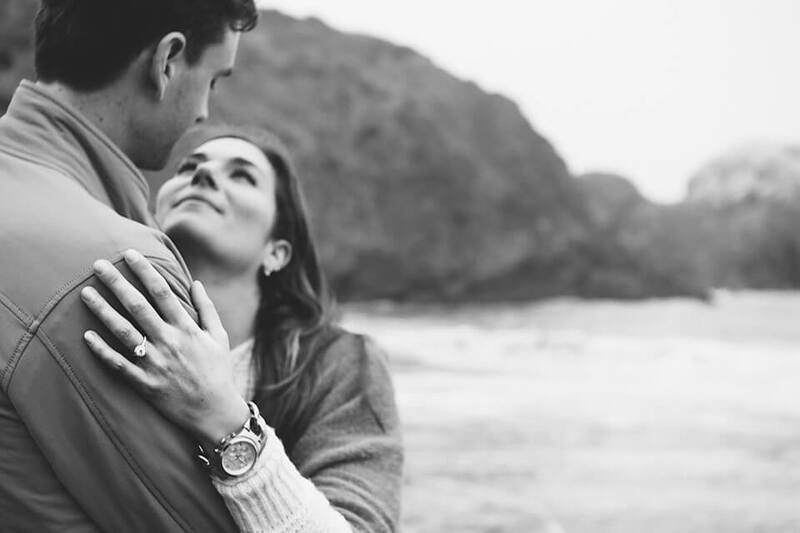 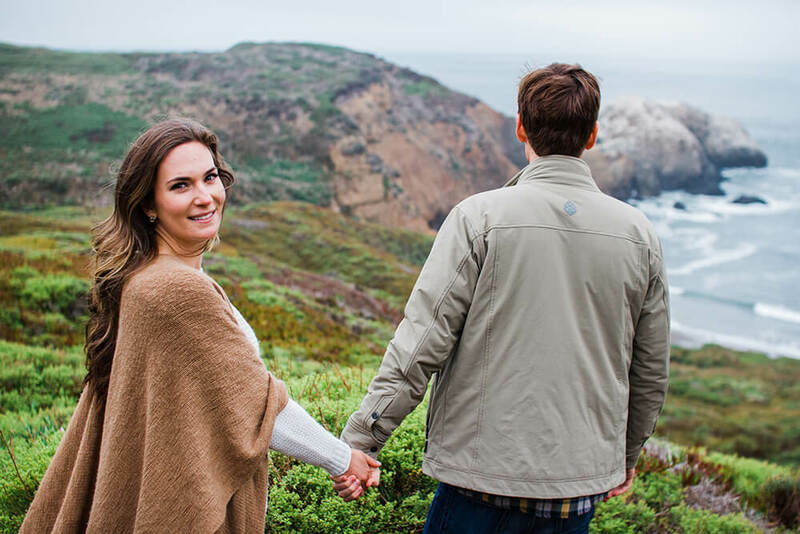 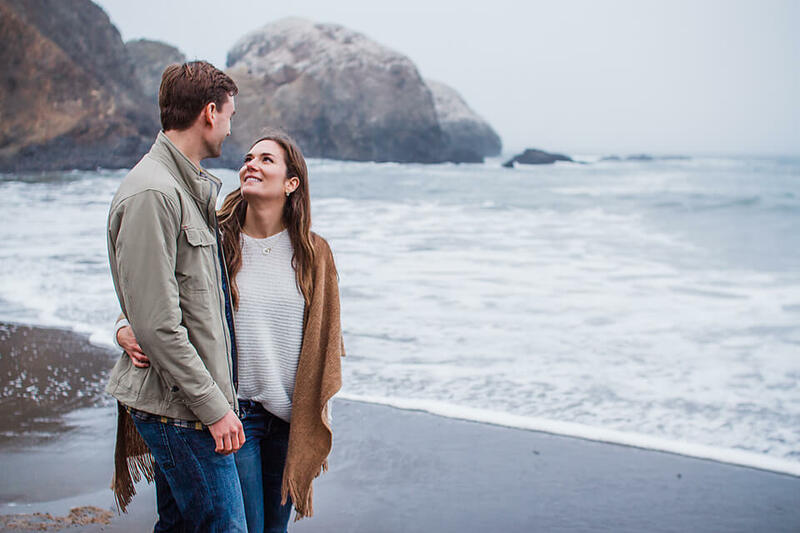 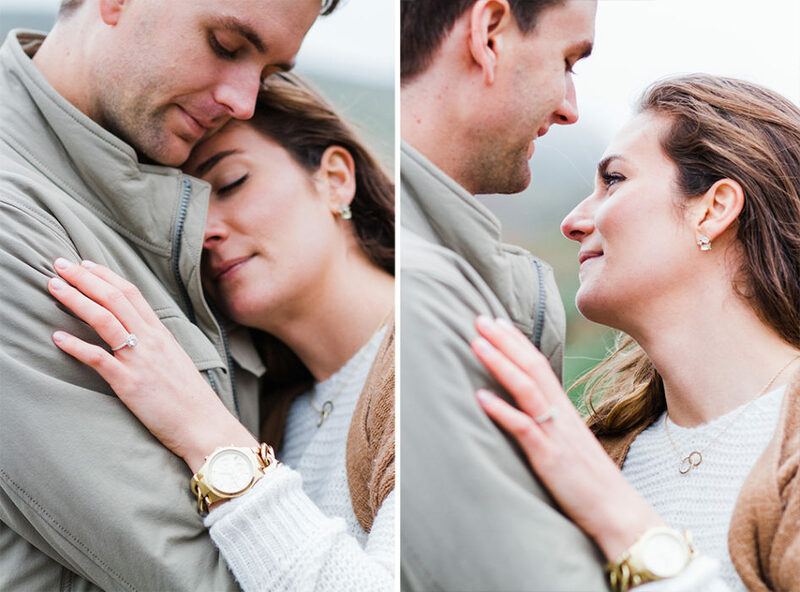 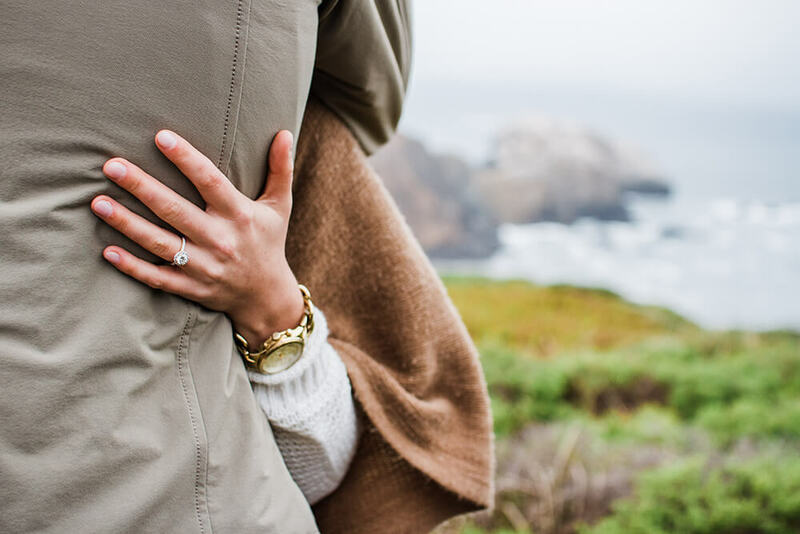 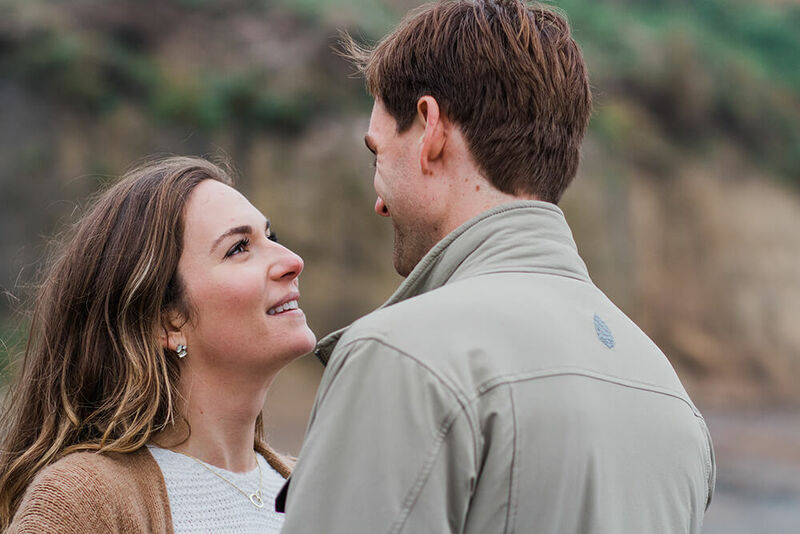 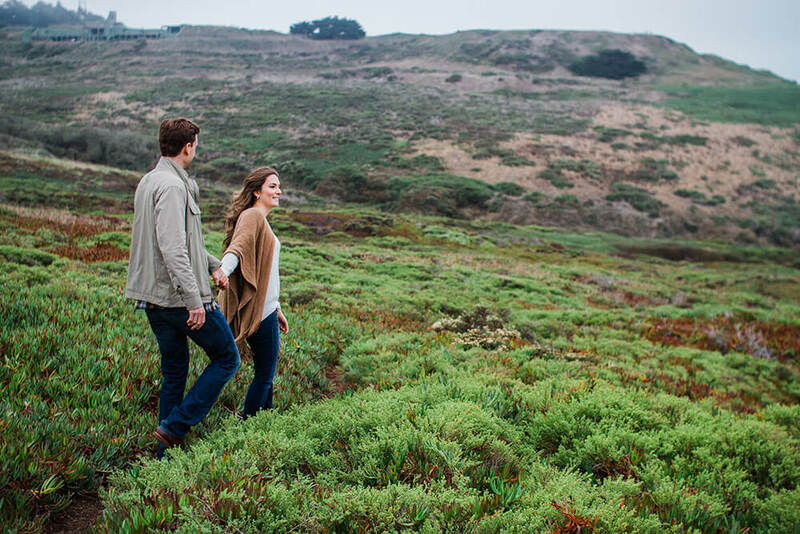 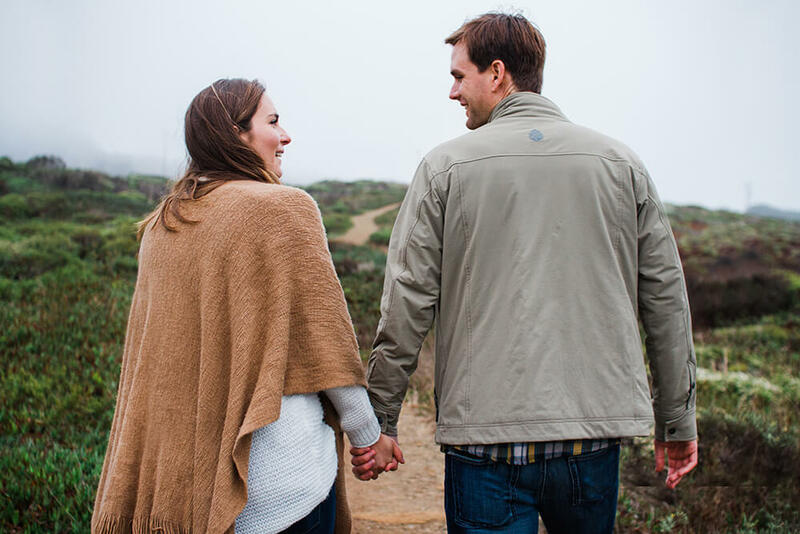 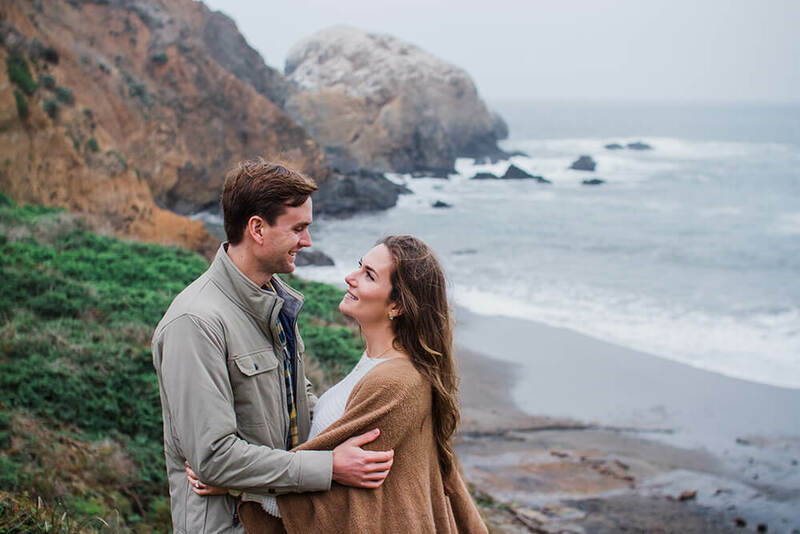 Like me, Liz and Jacob are transplants to the Bay Area, and when we met up for their engagement portrait session in the Headlands, I got the sense they were in every bit as much awe as I was of our surroundings, which I definitely appreciated. 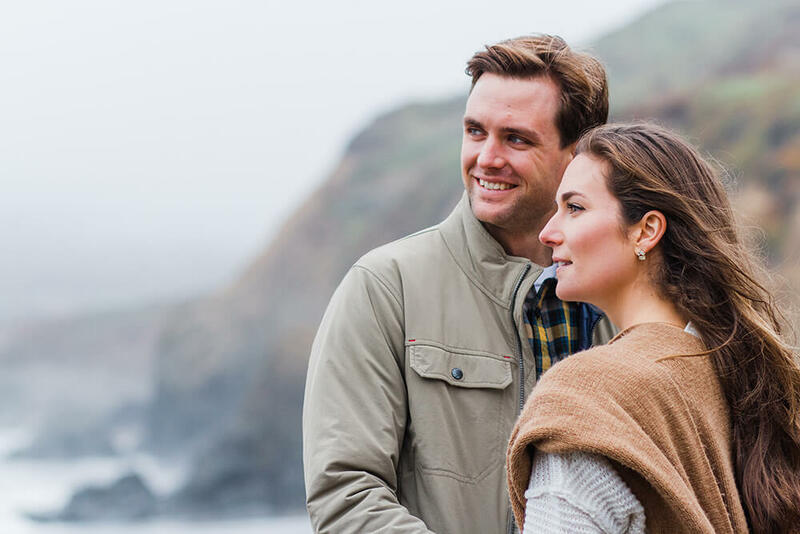 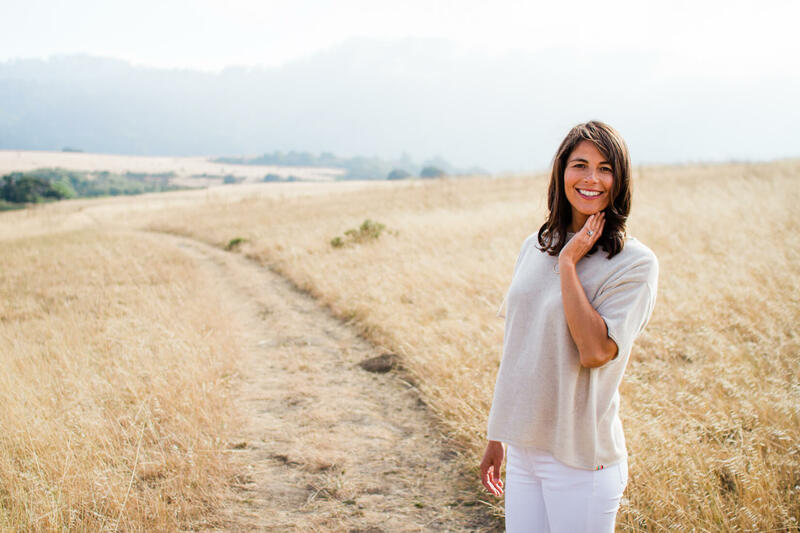 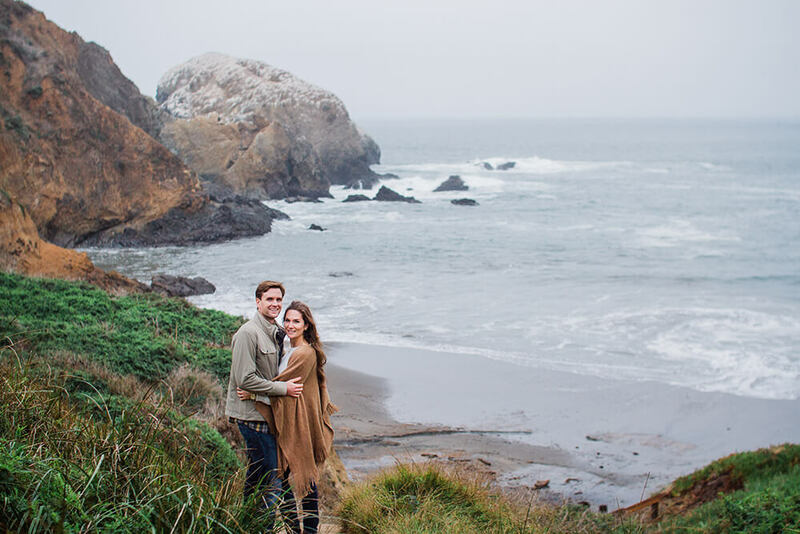 This particularly cool fall day had served up some typical, dreamy Bay Area fog for us, creating more of a moody atmosphere than I think any of us had originally envisioned for the shoot, but it ended up being perfectly appropriate. 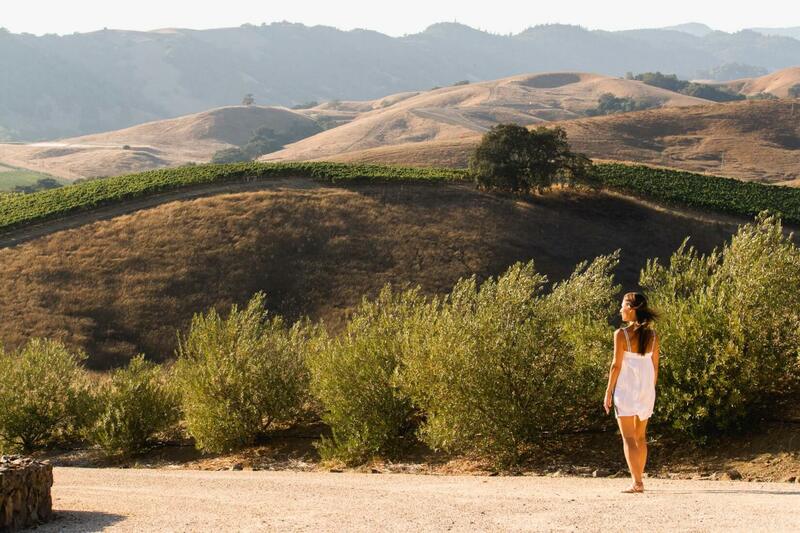 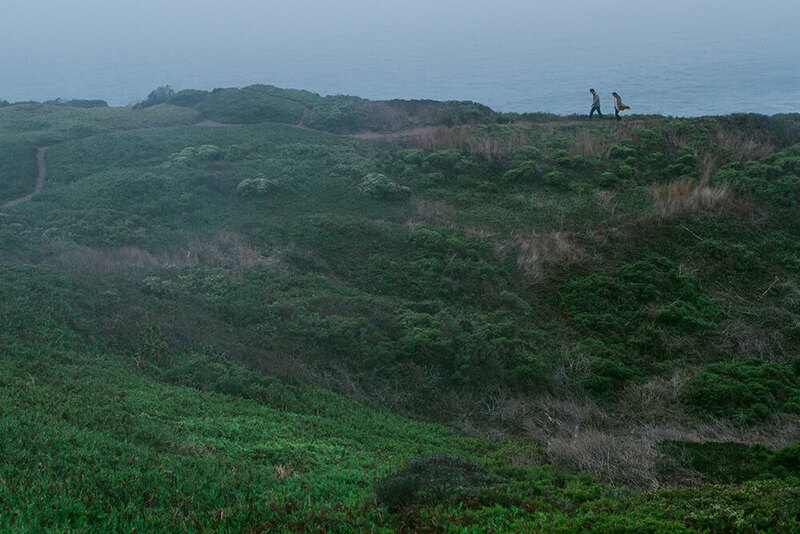 Nothing more fitting for a Bay Area photo shoot than some spectacular views with a healthy helping of fog. 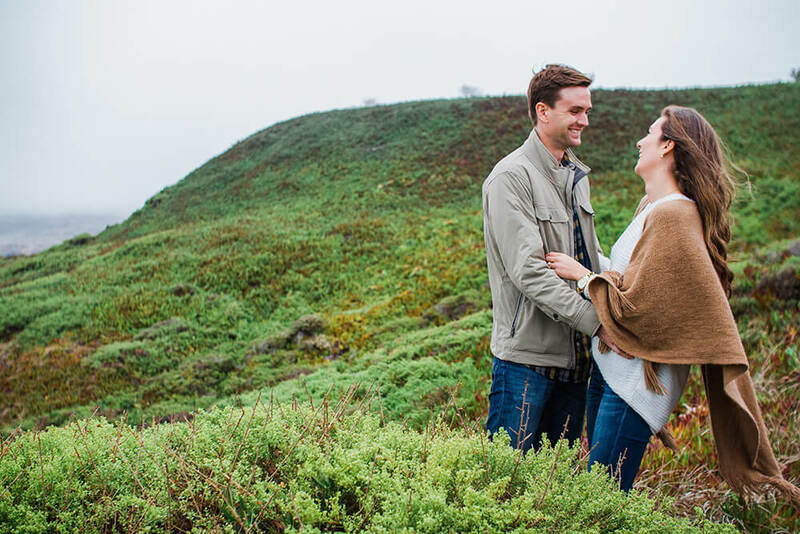 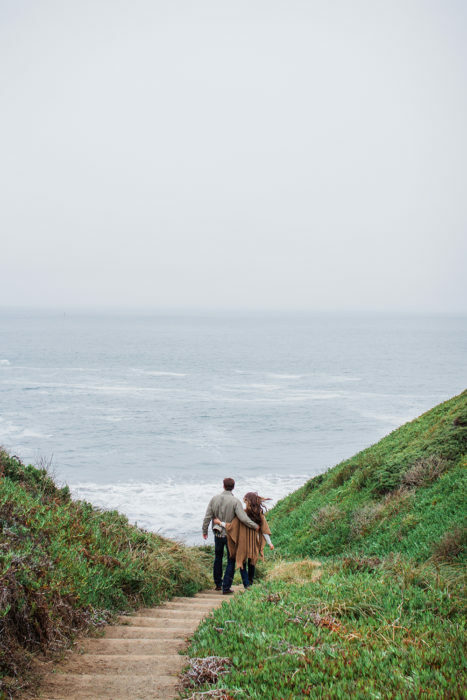 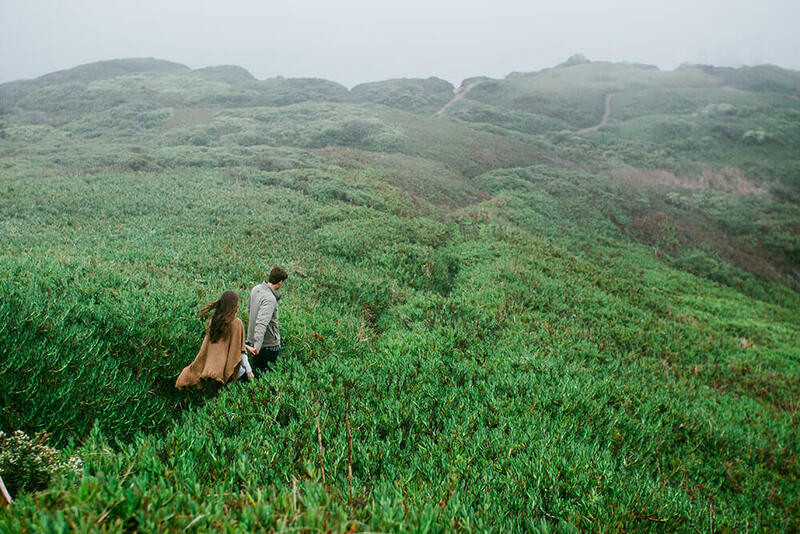 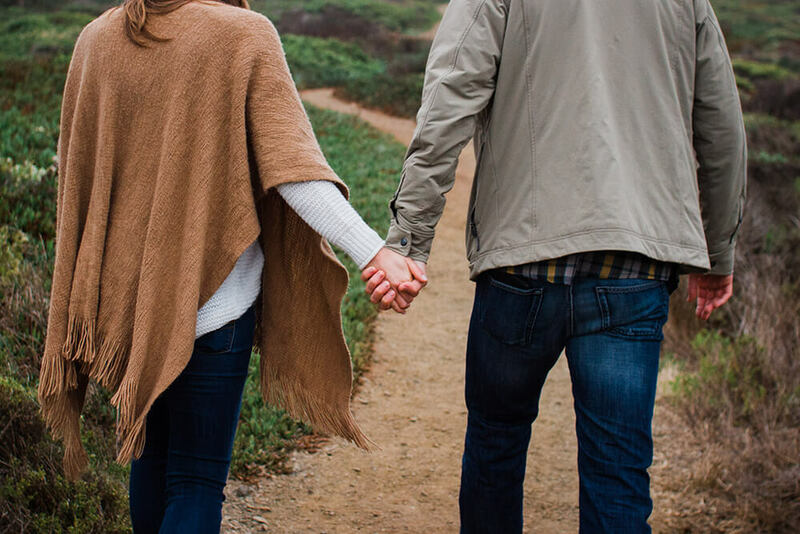 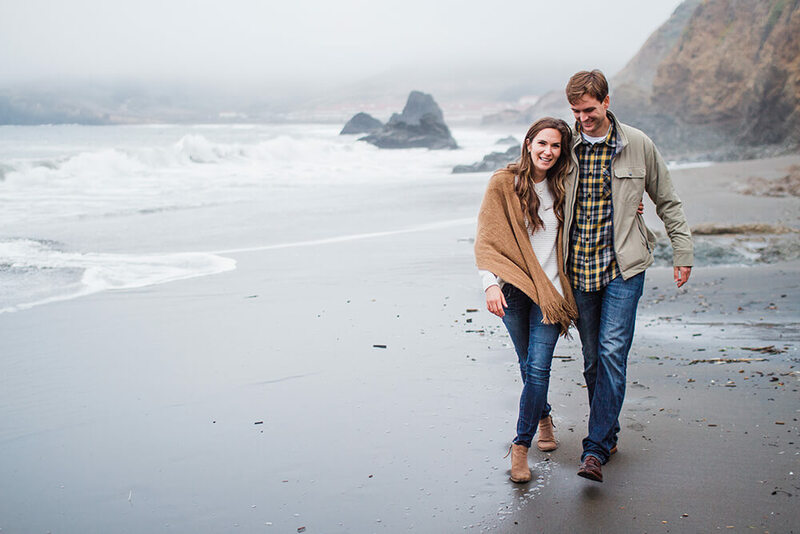 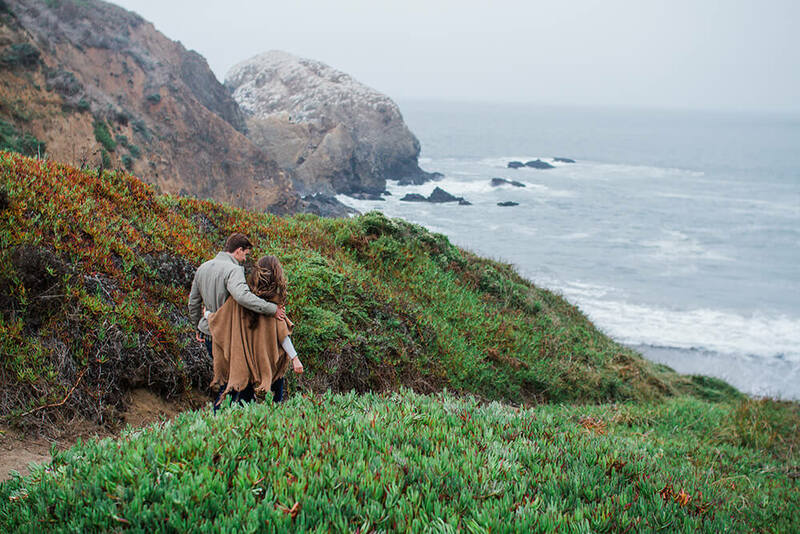 I loved having the opportunity to run around the Headlands with such a genuinely sweet couple and capture them being all sorts of cute and in love. 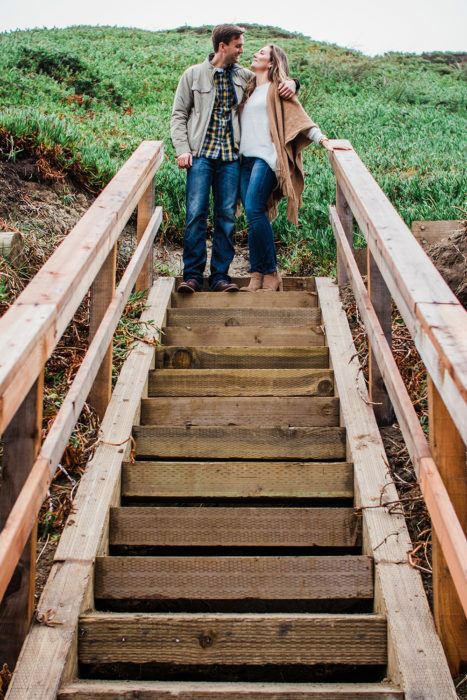 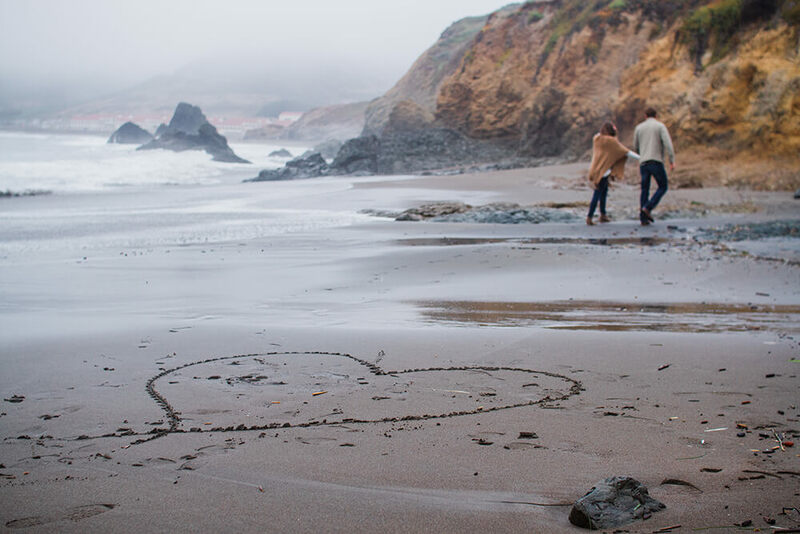 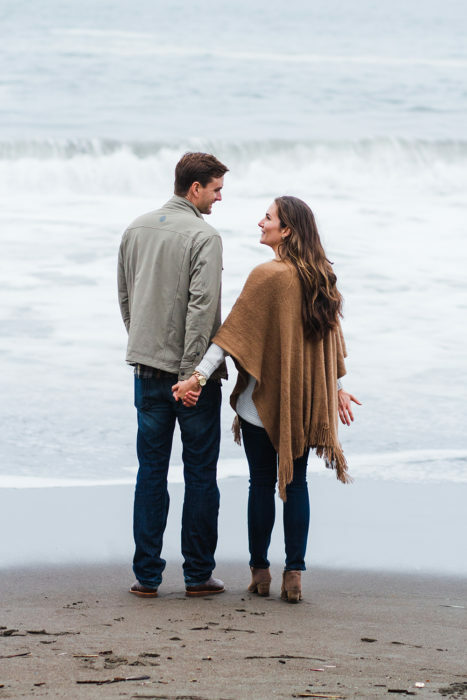 I’m so excited for them as they build a life together here in our beautiful Marin. 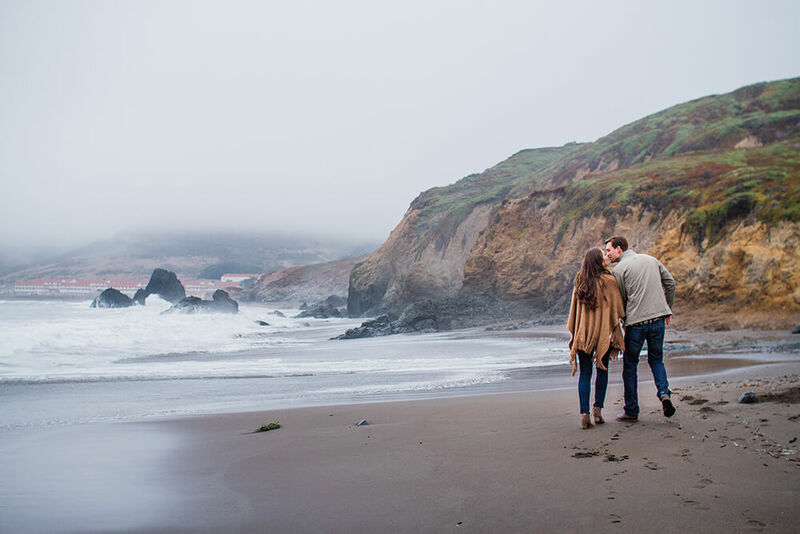 I hope they, too, will never take any of this for granted.